Releasing your inner voice, mastering your communication skills. How well do you feel that you can translate your inner experience, your wishes, emotions and visions to the world? Do you feel that it all stays stuck in your throat and that you simply do not know how to communicate in a way that can really influence your life and make the changes that you desire? We live in a time in which you need to invent yourself from anew, a time in which expression is supposed to be intuitive but actually is extremely confusing. How do you find the right way to be expressive and clear, effective and authentic? Spontaneous and at the same time the master of one’s self?  In this school we will awaken the process of self-expression and teach you how to dare to finally express your true self, how to connect to inner silence and speak out from there. To be able – perhaps for the first time in your life – to express yourself from the heart, from your highest intelligence, from your unique and individual power, from the place of deep silence that I know resides within you. Learn how to make yourself heard and visible without having to change your nature. Become able to share your inner feelings, truth, visions and dreams. Change the way that you communicate with others and the world. Ignorance about the right form of dialogue causes so many conflicts and even break-ups between people. So many issues could be prevented if we truly knew how to communicate. Experience the ease of your thoughts and words as natural, comfortable and easily flowing when you speak with others. After all, communication is an opportunity for emotional, intellectual, spiritual and physical depths of intimacy. The loving guidance from the level of the person through the transpersonal field towards the SELF touched me a lot. A helping hand – yet fully open. Clearly focused and still so free. Michael M.
Are you aware of your deep need to feel unity with others? One of the most significant needs of humans is to form bonds with our fellow beings. The greatest longing is to be in a genuinely intimate state and experience true spontaneity. We wish to feel comfortable, not self-conscious, when we communicate with others. We hope to attain the beauty of expression without restraint. Healthy self-expression is something we can learn and through this development, not only release this suffocating feeling that so many of us carry in our throats but also rebuild the way we create our reality and relationships. Learn in an interactive, expressive and communicative way! This programme is all about expression and the ability to bridge between our inner and outer worlds. So during this explorative weekends, there will be a lot of group work and partner interactions. It is a journey that will build your ability to speak and write in ways you have never experienced before. This empowering and dynamic group interaction can create a profound transformation. That can be a springboard to a life of more loving relationships and creative collaborations with others that manifest authentically. We will practice live communication in front of others and enjoy simulations of real-life situations. You can attend in person or if that’s not possible, take part wherever you are – the programme is built for interactive online participation. The throat chakra, as our communication center, is the bridge that connects our inner world and the outer world. In this weekend, we will learn to become profoundly conscious of this subtle process in order to master it. We will learn the “editing process” and the act of speaking and using our voice, almost like newborn babies. We will focus on the balanced and unbalanced communication center and begin to practice initial practices that can stimulate this center. For many of us, one of the most difficult experiences is trying to express our needs, feelings and wills. A great deal of social and psychological shame surrounds this subject. The choice is usually either suppressing them or expressing them in a confused way. In this weekend we will face this shame, learn to remove it, find out how we can trust the process of such expression and what is a right release for our needs and wishes. We will also deal with the way we present ourselves, tell our story, and balance over-sensitive expression. Since this inhibition includes the issue of self-acceptance, we will also deal with this important issue which is crucial as a foundation for true self-expression. What does it mean to express fearlessly? When it comes to our expression, a great deal of fear is involved: fear of what others might think of us and whether we might be rejected and disliked. Often saying a clear “no” or setting borders is required too. This could easily get us stuck in just being “nice” people. In this weekend we will delve into the issue of fear in order to remove it and find an expression that is not hindered by it, including how to face people’s negative reactions and how to overcome shyness. We will explore the tension between our wish for authenticity and the equally strong wish to reach people’s hearts and to even make others happy. Within this context, we will also understand the true meaning of authenticity. The heart is a highly significant component of expression and communication. It adds the right motivation to our expression and gives shape to the ways we express. It is also the element that determines our ability to express our deepest truth, wisdom and emotions. In this weekend we will get in touch with the heart’s power to influence our expression, the connection between love and communication, and the balance between right emotionality and over-emotionalism. In fact, all of the subjects dealt in this school are influenced by adding the heart as a source of expression. Within this context, we will need to understand why and how. How can we express well our ideas and thoughts, beliefs and convictions, in writing, speaking and other modes of expression? How can we achieve the right degree of charisma and the power of influence, while keeping a high level of non-violent communication? The ability to put our vision in right words that can genuinely and powerfully affect others is a delicate art, which we should master. In this included the experience of teaching and lecturing in ways that can truly change people’s lives. How can we create a vision and then follow it all way to its full realization? The process of manifestation is not an easy one for many of us. Many get stuck at the beginning point, or somewhere in the middle. In this weekend, we will learn the joy of making our inner world visible and turning a dream into a tangible reality; in other words, how to become creators of realities. We will also explore the very experience of self-fulfillment, which too often is misunderstood in ways that can create in us a lot of stress and anxiety (for example, the need to be original, famous, or a forfornt leader). Spiritual power, silence and meditation are highly important elements that can shape our expression and make it both effective and authentic. Here we will explore the relation between silence and speech, meditation and manifestation: the way silence can help us choose the right words and meditation can endow us with vision and the power to actualize it. Even the sound of our voice will be considered in this context. More than that, we will get in touch with higher forms of expression – expression beyond the self; the experience of becoming a vehicle of a greater truth, a messenger, and a truly inspired being. Our last weekend will deal with the actual experience of dialogue and interpersonal interaction. It is important to express ourselves, but not less important is the very rewarding experience of being able to truly interact, in ways that are conflict-free and harmonious. Here we will learn the art of listening, receptivity and enlightened communication. We also get in touch with heights of intimacy and unity achieved through a fully realized dialogue. Shai Tubali is a leading authority in the field of self-development and self-empowerment. In his writings and teachings, he skillfully combines psychology, philosophy, Yogic traditions and Eastern thought and practices into powerful processes of inner transformation. His most prominent writings have been awarded in the United States and in Israel, and others have become best-sellers, inspiring many thousands on their inner journeys of mental, emotional and spiritual transformation. His most prominent writings have been awarded in the United States and in Israel, and others have become best-sellers, inspiring many thousands on their inner journeys of mental, emotional and spiritual transformation. In the last 18 years thousands of people participated in his seminars, schools, courses and retreats in Europe, India and Israel. One of his most active methods of guidance are his numerous books, which have appeared internationally for the past two decades in five languages and have been published by major publishers. His most prominent writings have been awarded in the United States and in Israel, and others have become best-sellers, inspiring many thousands on their inner journeys of mental, emotional and spiritual transformation. A trained Yogi with 18 years of study in the field of Eastern thought and Yogic traditions, Shai Tubali has become one of Europe’s experts in the field of subtle bodies and, more specifically, the ancient chakra system. His writings and teachings are not limited to eastern thought. With time, he has created a significant list of methods that mix meditation, therapy and self-empowerment into highly effective, integral processes. His most established methods – the “Expansion Method,” “Power Psychology,” and “Chakra Psychology” – have been applied by psychologists and psychotherapists throughout Europe. His surprising psychological insights have been recognized by psychologists and academics for both their originality and depth. Since 2012, Shai Tubali has lived in Berlin where he runs the Human Greatness Center. At his center, he leads yearly schools and holds seminars, trainings, and talks, all broadcast online, drawing participants from all over the world. Twice a year he leads silence retreats. All weekends will be recorded with a HD camera. Via livestream you can participate from wherever you are or watch them later in the members area. Is the process also suitable for people who do not have any or only little experience with meditation or spirituality? Yes! You are most welcome to join the School and it does not require any prior knowledge or experience. The teaching is designed to empower your journey, and boost your personal spiritual development. The lessons are taught in a crystal clear way, and beginners as well as experienced participants will benefit greatly from the knowledge of the Chakras. If you do have prior knowledge, the school could enrich and deepen your understanding even further, thanks to the unique spiritual insight and depth of expertise of Shai Tubali in the field. Is it possible to participate only in selected parts of the school? The School of Heart is designed as a complete process. Therefore we strongly recommend participating in the whole process – in that way your own development and transformation will be highly supported and accelerated. But have no worries- If for some reason you cannot take part in parts of it, video recordings of each lesson and practice will be available to you. You also get free access to the schools’ materials for complete 2 years following the school. It means that whenever you wish to practice or repeat a session, it will be available to you. We put a lot of effort and attention in creating the best learning environment for you, and for that another feature that would be available is a summary of each and every learning session so you can always go through them and integrate them deeply. Can I use the techniques and knowledge of the school afterwards? Do I get a certificate for participation in the School? The school is designed to empower your life and spiritual journey in many ways, including knowledge and practices. Our focus however is not on qualifying therapists, but on your personal process. So you are most welcome to use it with people you love such as friends and relatives, or clients you treat in your practice. At the end of the course each participant will be granted a certificate of successful completion of the course. I understand that participation is both in Berlin and Online, could you elaborate on that? Some participants come from all over Germany and Europe to Berlin to participate in the School, and some watch it from their home. In fact each one is able to decide what is most convenient and beneficial for him/her. We are using high-tech tools to create an E-learning environment that is both interactive and engaging, so that On-line participants get superb conditions of participating in the school. Our interactive interface enables one to be at home, and feel as if being with us personally. Watching is easy and intuitive, and our helpful team of technical support will be always happy to serve you and make sure you participate comfortably. Ich spreche kein Englisch, kann ich trotzdem teilnehmen? Yes! The School takes place in to languages Shai teaches in english and we offer a simultaneous translation into german through high quality headphones. You can decide for yourself if you wish to listen to the talks in english, german or in both languages. Please feel free to contact us any time! We are looking forward to hear from you. Wohin sollen wir die Workshop-Lektionen schicken? Yes, I want to participate! Where should we send the workshop-videos to?